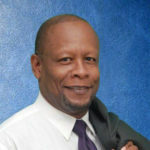 NASSAU, Bahamas, May 01 2017 – St.Kitts-Nevis Supervisor of Election Elvin Bailey is among three Caribbean Community (CARICOM) nationals selected on a team of Commonwealth election observers to The Bahamas for the country’s general election later this month. 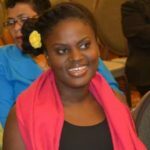 Bailey joins Lebrechtta Hesse-Bayne, Gender specialist from Antigua and Barbuda; and Enrico Woolford, Chairman of the National Communications Network in Guyana. 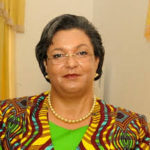 A former foreign minister from Ghana, Hanna Tetteh, will lead the team. This is the first time the Commonwealth will observe elections to The Bahaman parliament. The general election is scheduled for 10 May 2017. Commonwealth Secretary-General Patricia Scotland announced the make-up of the observer group after receiving an invitation from the Government of The Bahamas. The observers will consider all aspects of the electoral process and assess whether the election has been conducted according to the standards for democratic elections to which the Commonwealth of The Bahamas has committed itself. The Group will be in The Bahamas between May 4 and 13.